It’s 40 years since the Montreal Canadiens and CSKA Moscow — the legendary Central Red Army — played what lots of people say was the best hockey game ever. 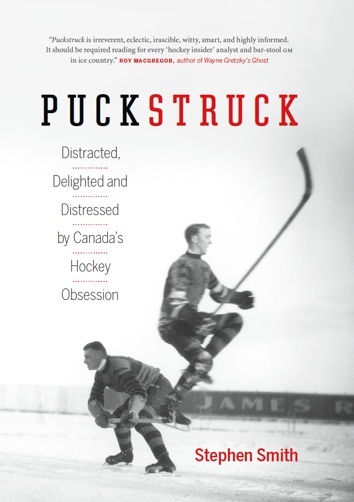 Todd Denault wrote a whole book to that effect, and more: in The Greatest Game, he argues that their 3-3 tie on New Year’s Eve of 1975 actually saved hockey from the violence and cynicism that was dragging it under, reminding us all what a beautiful game it is while redeeming and returning it to righteousness. If that’s the case, hockey and Central Army both had a short detour they had to follow first, south, to Philadelphia, home of the reigning Stanley Cup champions. While the game in Montreal may have showed hockey in all its competitive finery, the Soviets’ meeting on Sunday, January 11, 1976, with the Flyers is remembered for its bruising and bitterness — not to mention the fact that the game was very nearly abandoned midway through the first period. Two enhanced Soviet teams had arrived in North America before Christmas that winter on a much anticipated exhibition tour of NHL cities: the Super Series. Krylya Sovetov — the Soviet Wings — were bolstered by four of Moscow Spartak’s best players, and their tour saw them beat Pittsburgh, Chicago, and the New York Islanders before they lost to the Buffalo Sabres. To a roster that already featured names like Kharlamov, Tretiak, Petrov, and Mikhailov, Central Army added a pair of Dynamo Moscow ringers, Alexander Maltsev and Valeri Vasiliev. Their swing started with a win over the New York Rangers before the game in Montreal, which they followed with a win in Boston over the Bruins. The Russians had a few days free in Philadelphia before Sunday’s game with the Flyers. 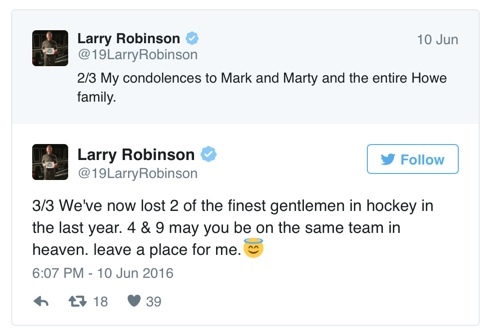 On Friday, January 9, the Flyers gave them lunch. Saturday many of the players went to see Jaws. Ahead Sunday’s afternoon game, there was a kerfuffle involving signs in the Spectrum protesting the Soviet government’s treatment of Jews, a threat of Russian withdrawal — but NHLPA executive director Alan Eagleson talked to Flyers’ president Ed Snider and had the signs removed. Army coach Konstantin Loktev called his goaltender, Vladislav Tretiak, to the bench. Cole says the idea was to give Gilmour time to reconsider. Instead, the referee assessed Army a minor for delay of game. Exit the Soviets withdrew to their dressing room in a snit. The delay that followed lasted nearly 20 minutes. Furious negotiations ensued, with NHL president Clarence Campbell joining Eagleson and Snider in discussions with Vyacheslav Koloskov, head of the Soviet hockey federation, and Loktev. The story that’s popularly told is that the Soviets returned because they were told that they wouldn’t be paid if they refused to finish the game, but that, as we’ll see, has been persuasively denied by several of the principals involved. One version has Snider telling the Soviets they’ll have to reimburse the fans in the building: that sound more likely. 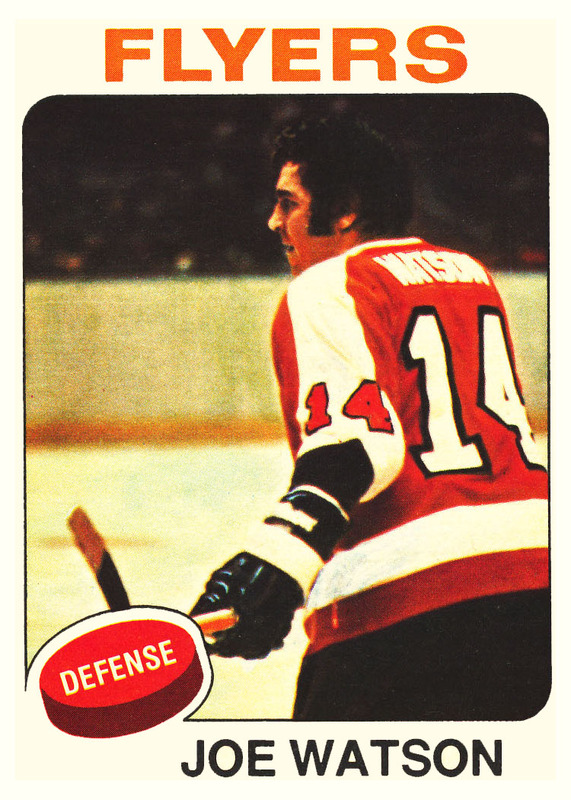 Once the game resumed, the Flyers went ahead 3-0 on goals by Reggie Leach, Rick MacLeish, and Joe Watson. Victor Kutergin scored for Army before Larry Goodenough added another Philadelphia goal in the third. That’s the story, pretty much, in sum. Here following, a detailed account of the game (and its acrimony) as those who took part saw it, with quotes culled verbatim from contemporary accounts in newspapers and magazines as well as from books published later — sources below — starting off with a few choice cuts from the roast-beef luncheon the Flyers hosted on the Friday ahead of the game. I hope it will be an enjoyable game for the fans. It was the biggest game in Flyers history. We had to win or else. This is just a friendly game. Bobby Clarke, whose vicious slash had put Soviet star Valery Kharlamov out of the 1972 series, was asked to reflect on his lingering status as villain in the USSR. “It wasn’t premeditated,” said the Flyer captain. “He had speared me and it wasn’t a clean series from the start. Even during the reception, two days before the game, they made it perfectly clear that they had no intention of associating with the Soviet players. 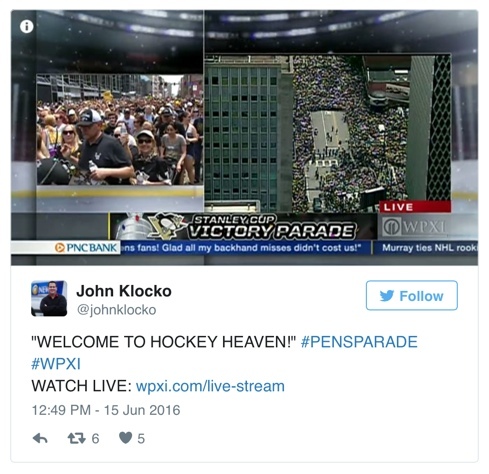 The Stanley Cup winners demonstrated their highly unfriendly, if not hostile attitude. Nobody came over to welcome us. Even the local press was shocked by such blatant inhospitality. We had pep talks in our dressing room from the strangest people. 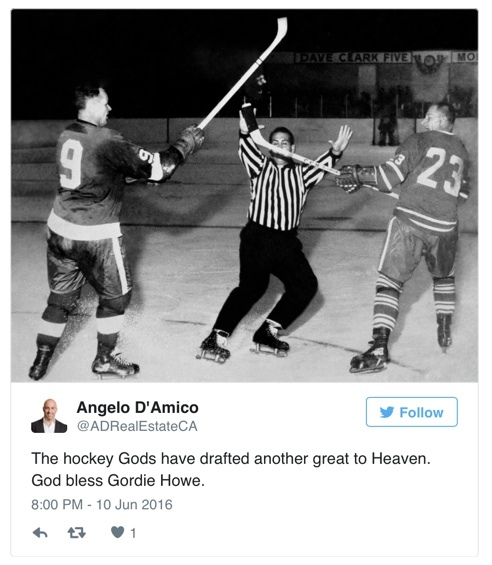 Clarence Campbell couldn’t stand us, the way we played or anything about us … He was in there telling us we represent the NHL and all the rest and ‘Go and play your game.’ And we did. We’re in a weird position. All year long people keep telling us that we’re bad for hockey, bad for the NHL, bad for Canada because we’re too rough. 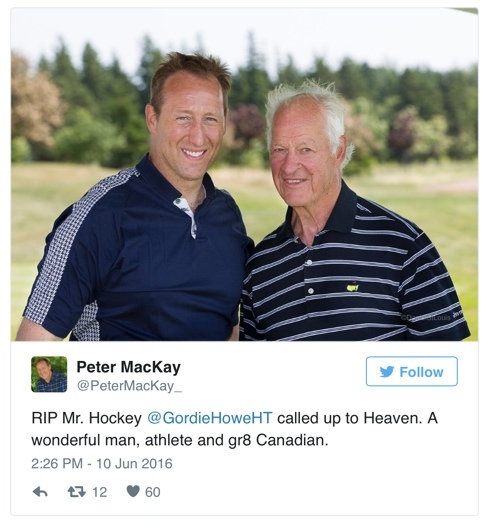 Now we’re supposed to save the game for the NHL, for Canada, for everyone. Hah! For the first time we’re the good guys. You know, I woke up on Friday night from this dream and I was in a cold sweat. We were behind 5-1 late in the second period. So I went back to sleep to get back to the dream and I succeeded. We came from behind to win. Flyers were playing on high emotion, which was helped before the game by the preliminaries. They must surely have startled the Russians; they saw nothing like it in three previous games against NHL teams. The lights were dimmed for introductions with big spotlights picking up the players. A recording of Kate Smith singing God Bless America was picked up by the crowd, which belted out the song along with her. Moreover, it was in the Spectrum that the Russians were first booed. The Soviets began with a razzle-dazzle Icecapadeski in their own zone, which the Flyers ignored. Then, as they tried to move, the Flyers, notably Terry Crisp, forechecked beautifully. Up ice, the Flyer defensemen took their customary inhospitable view of rival forwards. The Soviets could control neither the puck nor the flow of the game. 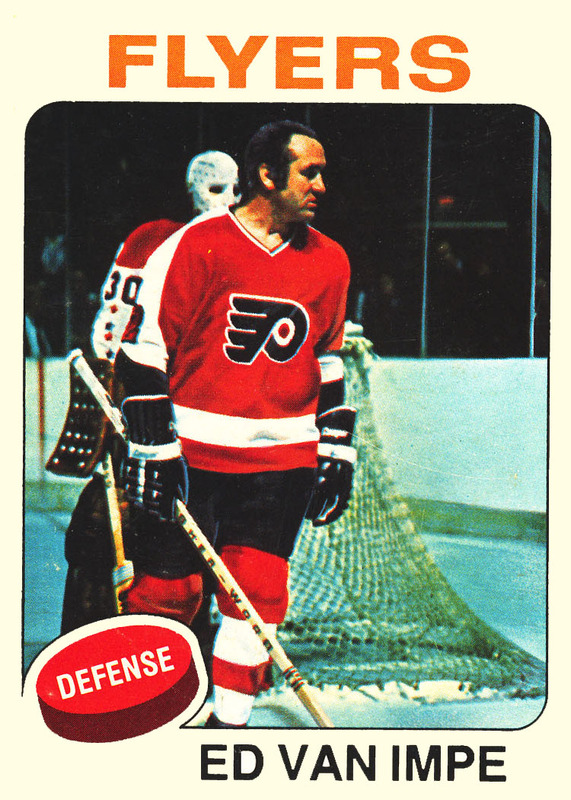 They had got off two shots to the Flyers’ 12, when Ed Van Impe dumped Valery Kharlamov. 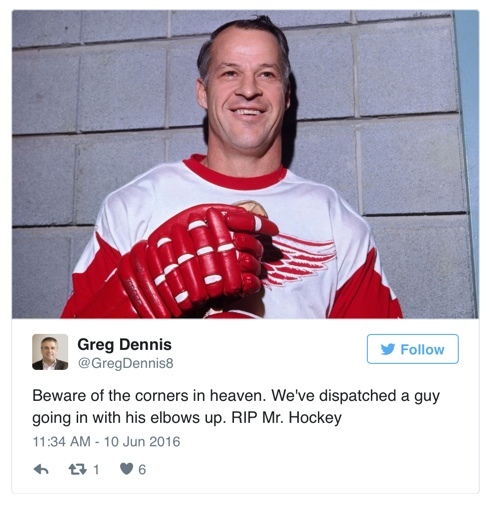 Bodies started flying in every direction, and not all of the hits were clean. The way we figured it, we had to hit the Russians and hit them again every time we had the chance. If you let them skate around and play dipsy doodle with the puck, they’ll kill you. If you hit them, though, they’ll play just like any ordinary hockey team. 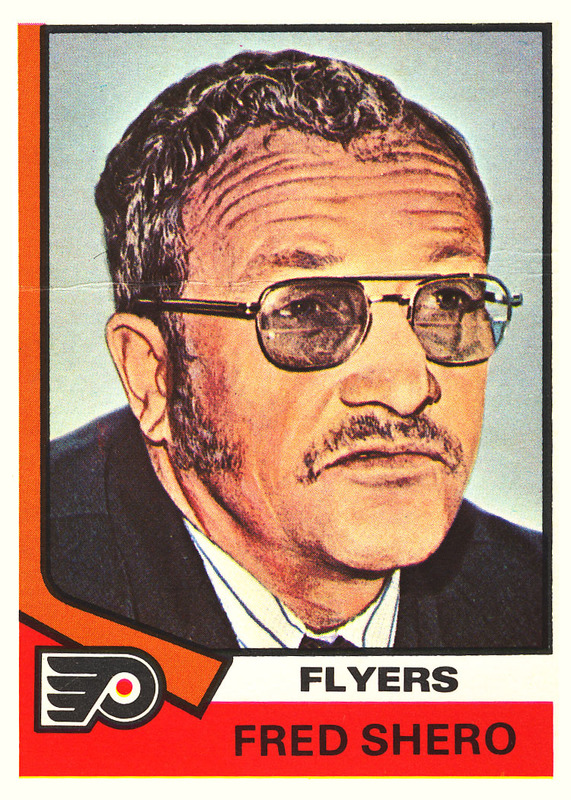 For the first 10 minutes on Sunday the Flyers did not just hit the Soviets, they assaulted them. 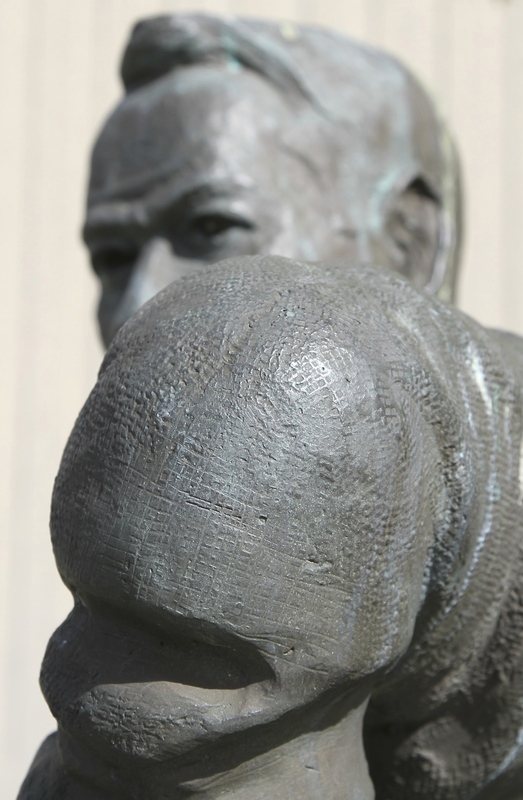 Dave (Hammer) Schultz rubbed his glove in Boris Mikhailov’s face. Andre (Moose) Dupont waved his stick under Mikhailov’s nose. Ed (Zorro) Van Impe tattooed the stomachs of Alexander Maltsev and Boris Alexandrov. Bill Barber rearranged Valery Vasiliev’s helmet. And Clarke reintroduced his hockey stick to Valery Kharlamov’s ankle. Clarke had damaged that ankle in the Team Canada-Soviet series of ’72. “They didn’t like it,” Watson said. The temperature inside the Spectrum was as chilly as the atmosphere, as if somebody had left a window open in Siberia somewhere. The chill developed into a freeze when the Soviet team returned to its dressing room for 16 minutes during a scoreless first period in a protest of the Flyers’ tendency to use their (a) shoulders, (b) elbows, (c) sticks, (d) all of the above. I had just come out of the penalty box. He was looking down to pick up the puck. And when he looked up, I was there. 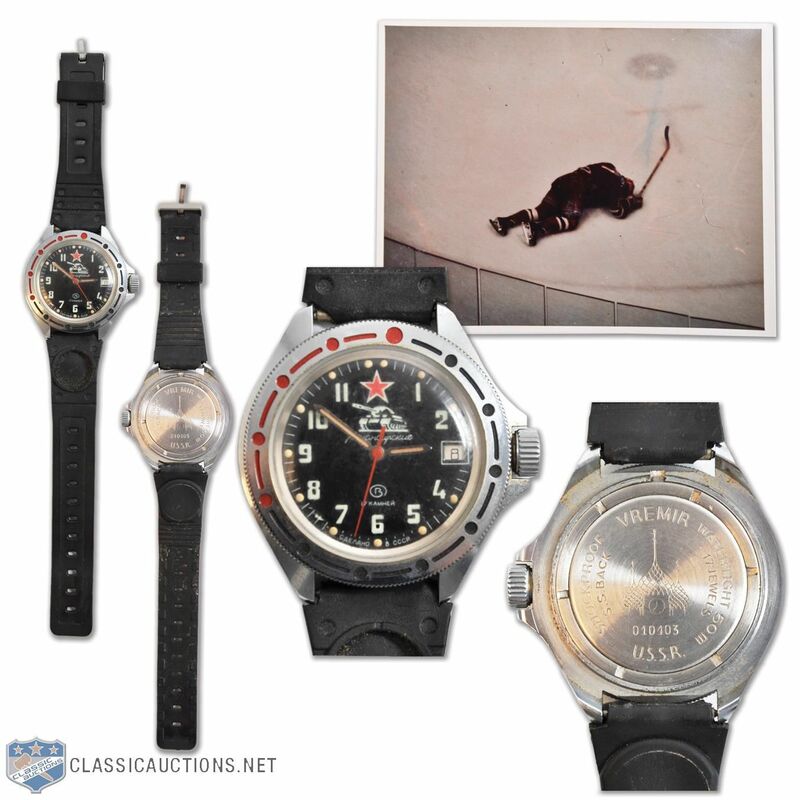 Eleven seconds after he returned to the ice, he elbowed Kharlamov, who was streaking down the right side, and the star player fell to the ice. It seemed like someone had shot the guy with a gun. 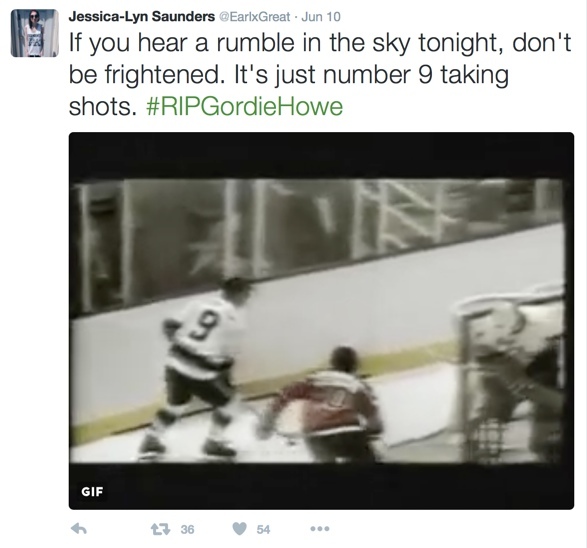 To this day, Eddie says Kharlamov ran into his elbow! It was a sucker pass. I could see the play developing. The winger made a sucker pass and Kharlamov had to turn his head to get it. I remember watching it, almost in slow motion. And the same time the puck connected with Kharlamov, I connected with him and flattened him. I just wanted to welcome him to Philadelphia. It was a helluva check — a clean check. I bumped him pretty good, but I don’t think he was hurt as all that, rolling around looking dead. Kharlamov went down as if he’d been shot, and while it may have been a hard check, it wasn’t that hard! 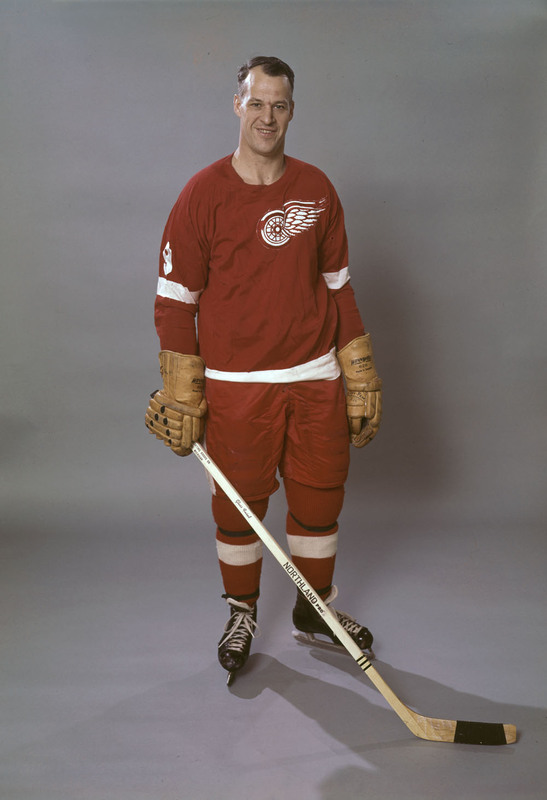 In fact, Bill Barber had earlier dealt a tougher blow to one of the Soviet defensemen along the boards, without causing any such theatrics. They used the pretext of the injury to Kharlamov but I noticed he played on the next shift and started the second period. I didn’t see anything wrong with him. The Soviet walkout was prompted by the attack of Ed Van Impe, a Flyer defenseman, who knocked down Valery Kharlamov, a key Soviet Olympic forward, from behind. No penalty was called by Lloyd Gilmour, the referee, and Konstantin Loktev called in his goalie. The referee then meted out a delay-of-game penalty against a delay-of-game penalty against the Russians and Mr. Loktev ordered his team to the dressing room. Some of the Russians later contended that Van Impe had slugged him with his gloved hand. It was my right shoulder. Bob Cole, broadcasting the game for Hockey Night in Canada, could hardly believe what was occurring. “They’re going home!” he kept repeating. If he had done that to me, I would’ve just gone to the bench. It was ridiculous to take the team off the ice. I wasn’t sure they would come back at first, I really wasn’t. I really thought they might be leaving. I knew they’d come back, because they wanted the money. I don’t think they intended to leave the ice permanently. The Soviet coach reacted precipitously but his point of view wasn’t even support by the chief of his own mission. Their argument was that the Flyers’ team as playing too rough. I feel it was an emotional move by Loktev who’s an emotional coach. When Eagleson and Campbell came, I told them we wouldn’t go back because of the rough tactics. I could have sent younger players on the ice and it wouldn’t matter if they fought or not. I said to Eagleson, maybe we should have an agreement before the game. If we kept out Mikhailov, Petrov and Kharlamov, and Shero kept out Leach, Clarke and Barber, it would be fair. They couldn’t get hurt. But if we did that, the fans would be booing. It’s not hard to understand. Remember there was an emotional coach not to mention myself in 1972 who walked out in Russia. It took me a lot longer to settle then. They told us they wanted to take their players back to the Soviet Union in one piece, not on stretchers. As far as I was concerned, they were trying to intimidate Gilmour into calling a one-sided game. In the negotiations the Russians requested that their two-minute penalty for delay of game should be erased, but Campbell remained firm. They wanted a guarantee of no fighting the rest of the game, and they wanted us to rescind that delay-of-game penalty. No way. Campbell said no mention was made to the Soviets of withholding their $25,000 per-game take from the eight-game series. I think I made it obvious they wouldn’t get a nickel from our club if they pulled out of the game. I think they understood that. Never did I mention the money angle. Somebody on the periphery mentioned it, that’s all. Then I was the guy on the periphery. I told them they weren’t going to get paid unless they finished the game. Wrong. We had received all the money on the first day we arrived in North America, before the series started. So how could they not pay us? Only after prolonged assurances on the Flyers’ part that the game would be played according to the rules, did our team decide to go back on the ice. We returned, totally frustrated. Everything was turned inside-out; we did not play, we merely skated.